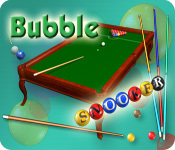 Bubble Snooker is rated 4.7 out of 5 by 3. Rated 5 out of 5 by Niagara_Ontario from What an addicting game Once you learn how to bank the balls you quickly skip to the master level and then it becomes totally addictive, trying to beat your own records! 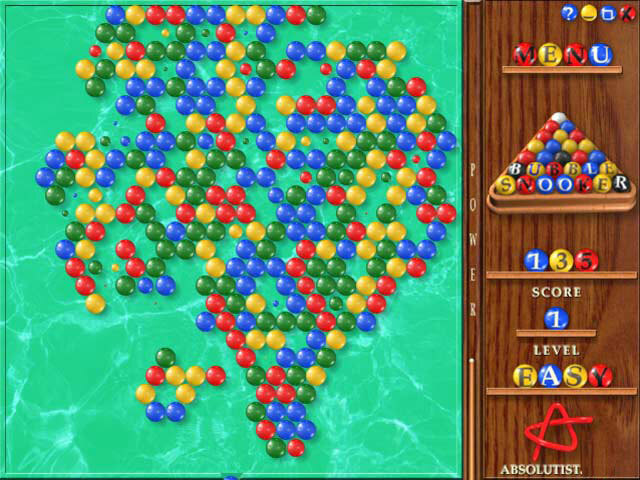 Awesome game even though marble popper is not my #1 genre! Rated 5 out of 5 by luv2playBFG from Great Competitive Fun!!! 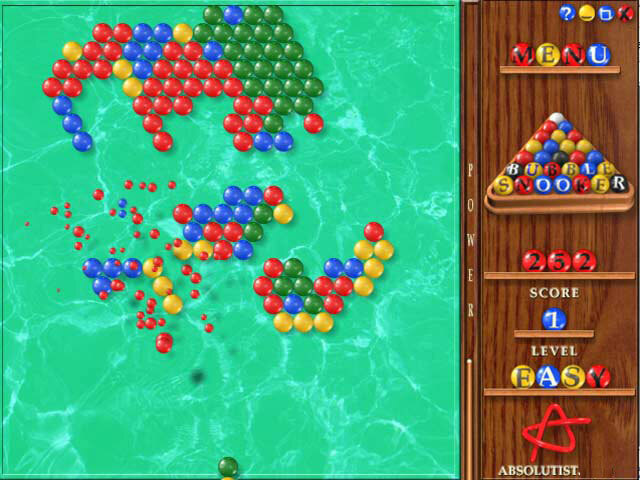 First thing I need to say is I very seldom buy or play marble popper games. This game is colourful, mesmerizing, and fast. Hubby and I take turns playing the best three out of five for high score on the expert level, or we play at the master level to see who can get off level one! It really is that tough at the higher levels but we have shared so many laughs and enjoy watching the other persons screen fill with bubbles with one bad shot. It is the perfect game to take turns playing with a spouse, sibling or buddy. It doesn't get boring and if there is no-one else around, you can easily play just by yourself. Really having a blast with this game. Rated 4 out of 5 by 49plus5 from Would be a five star but.... The only reason this game doesn't get a five star from me is the fact that you can't save levels. When you leave the game you have to start from level one all over again. That can be a pain. Other than that it is a great game, challenging, and fun. Make a new version with game save and it's a 5 star plus! !